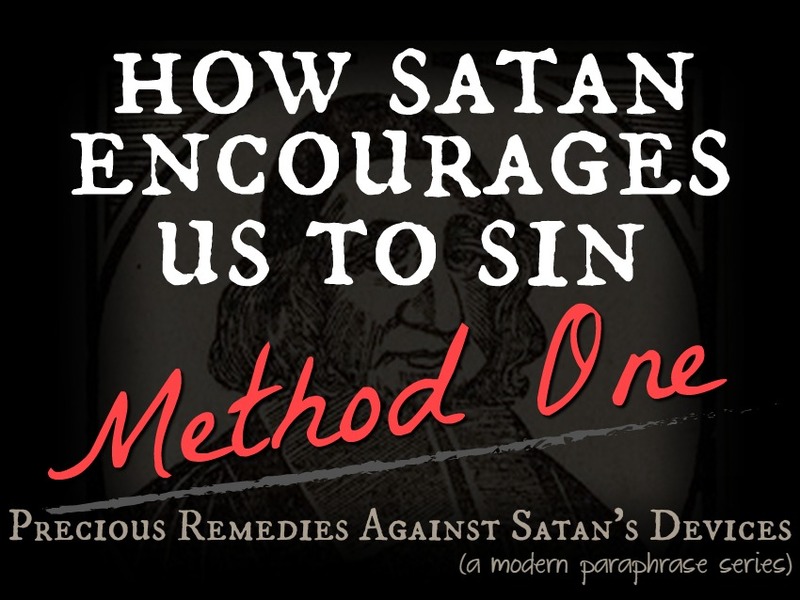 We're ready to jump in to this series of blog posts working through the book Precious Remedies Against Satan's Devices by Puritan Thomas Brooks. You can read along in the book with me with a free digital copy here, or purchase a paper copy here. 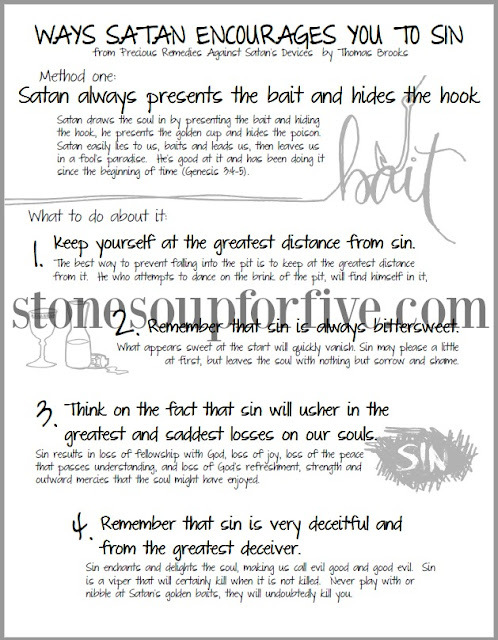 Today, let's look at the first way Satan encourages us to sin: by presenting the bait and hiding the hook. To get a free printable version of this file, subscribe to the blog for access to the Subscriber Bonuses page. In what ways have you seen this method of Satan in your own life? Think of a specific instance in your life where Satan baited you with something but hid the hook. What was the temptation (bait)? What was the hook (sin)? How would that situation have been different if you had used one of the remedies above? Is Satan currently using this same method with you right now? If so, how? Which of the remedies above do you need to pursue to prevent falling for the bait? How specifically will you use this remedy? All information is summarized and paraphrased from the book to make it accessible for everyone. I hope you take the time to discuss these important insights with your children and teens!